So once I had the perfect combination and placement of my geese, sewing them together was a breeze. I sometimes struggle with setting triangles but this pattern has you cut them large then trim the sides to size, thank you Miss Rosie! The next step is to add the outer border of geese. 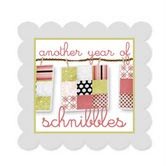 This is the print I used to piece my star blocks. I used the cityscapes for the stars leaving the city name print intact. I struggled with how to use what I had leftover and finally decided to add the city name print between the center of the quilt and the outer border. Once it was on I liked it, but I had to think it over for a day or two, probably just because it's different from the pattern. But now I feel like those geese are heading to interesting and exotic locals, not just up and away. 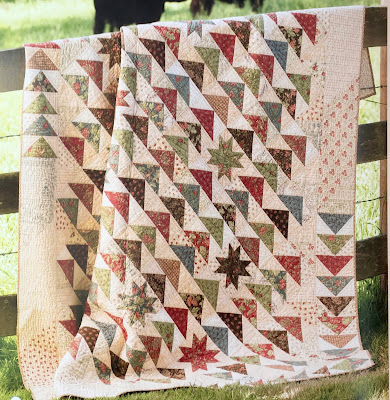 It finished at 77" x 86"
The pattern is Due South by Miss Rosie's Quilt Co and is in her latest book, Farmhouse Favorites. It has approximately 839 pieces. Here's a closeup of my additional border. 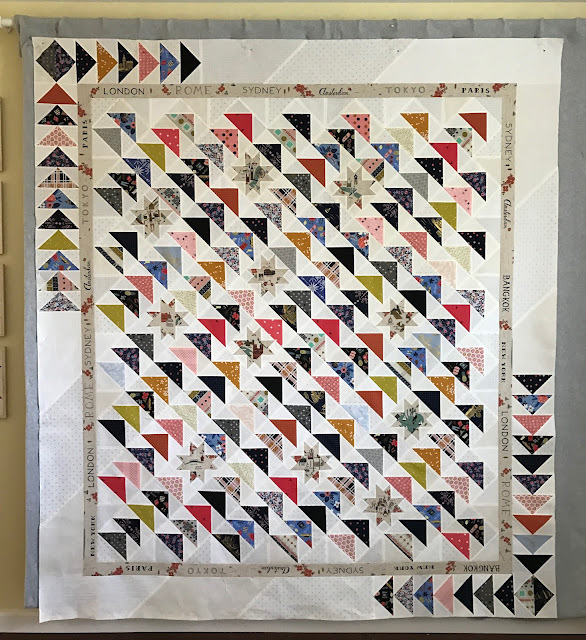 I fretted a little over my fabric choice for this quilt, after all it's my 200th finish, something special, plus I've had this pattern on my to-do list for years, and I didn't want to wait all that time to mess up the pattern with a poor fabric selection. But now that it's done I could not be happier with the overall look. Did you have a View Master? Do you even know what a View Master is, lol? I had one, and the majority of my viewing disks were travel related, I particularly remember a disk about Holland with beautiful colorful pictures of tulips, windmills, ladies in blue dresses with white aprons and white pointy hats, and wooden shoes. So it was an easy choice to use this view master print for the back of my travel themed Due South. So I may be the first person to have a finish for the Miss Rosie Year of Thelma Sew Along, but I think there are several more in the works. I'll be sure to share pictures when I get them, and remember, you have all year to finish your entry for the parade. I love your version of Due South and I think the addition of the "city names" inner border is the perfect touch. And yes, I do remember the View Master! Happy 200th, Thelma! I had to look back to see when you had your 100th and i was stunned to see that it was a year and 3 months ago because it doesn't feel like it can be that long ago!! I'm excited to see your next 100 and what you will do in this next batch. Have a great day. 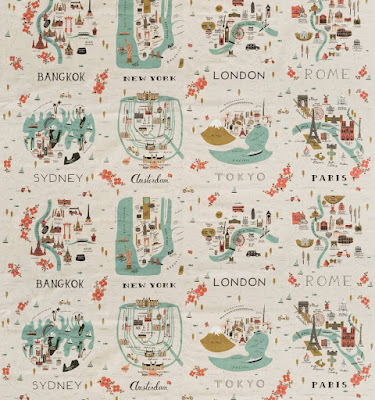 I love your Due South quilt the city name border is just perfect!!! I love the inner border and the backing fabric! You gave your geese a destination off their migratory path! I made this quilt but have never had it quilted. I might just do that! Fantastic pattern,anything about it caught my eye.Great job! I love this quilt, Thelma. 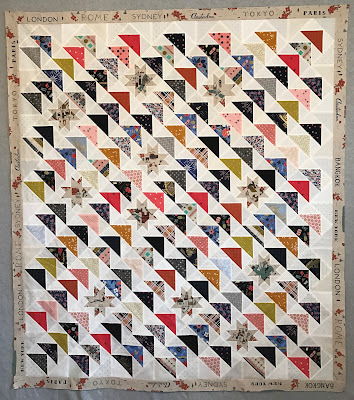 Congratulations on your 200th quilt Thelma ! Beautiful Quilt ! Looks good! An inspired choice for the inner border and I like the backing fabric too. Yes, I do remember View Masters. This turned out to be a great 200th quilt! And yes, I do remember View Masters (we had the hand held and the one that would project on the wall). Neat quilt, Thelma! I have been looking at the same pattern in the book and wondering what fabric to use. 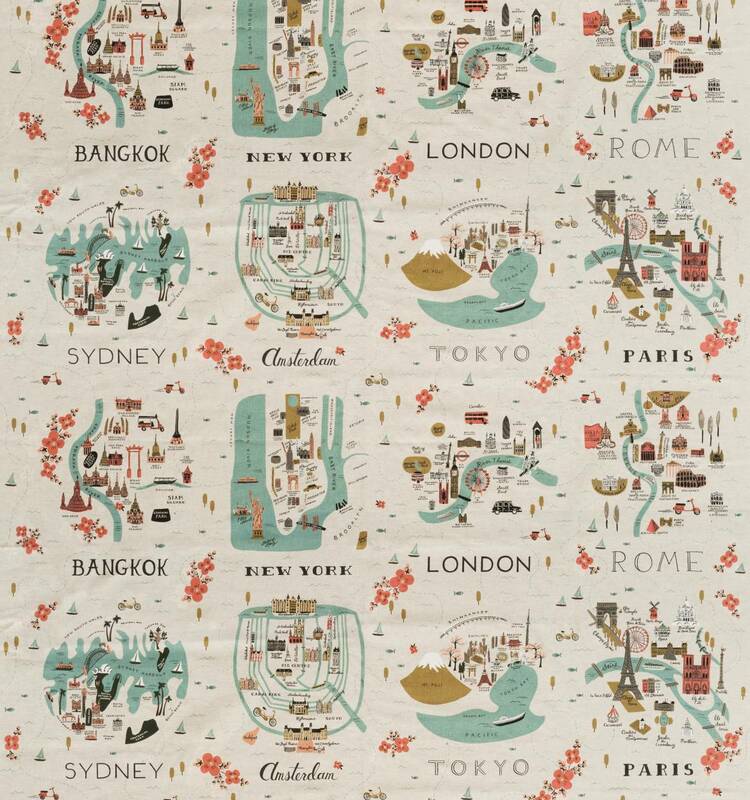 Love the way you used the different cities as a border. I love it Thelma! Congrats on #200! 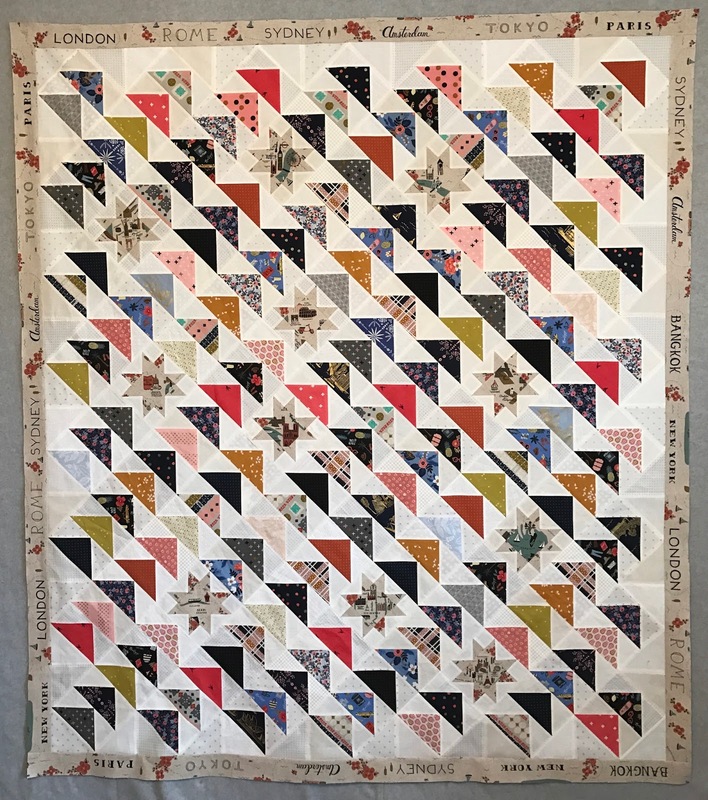 Thelma, I loved your "Due South" quilt from the beginning and then you added the inner border of city names and Flying Geese in the outer borders. Now I want to make a Due South quilt too. 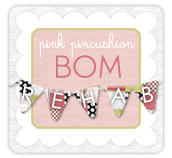 Thanks for blogging, I love reading your blog and seeing what you are working on. Your Due South is terrific!! Congratulations on #200! It is fantastic and I love the border with all the city names. I have my viewfinder from childhood and my kids love checking out the various "slides." Congrats on your 200th quilt!